There is nothing better to make you feel better when you are sick and to warm your bones after a long winter day, than old fashioned chicken soup. It is very easy to make and most likely you already have the ingredients right at home. 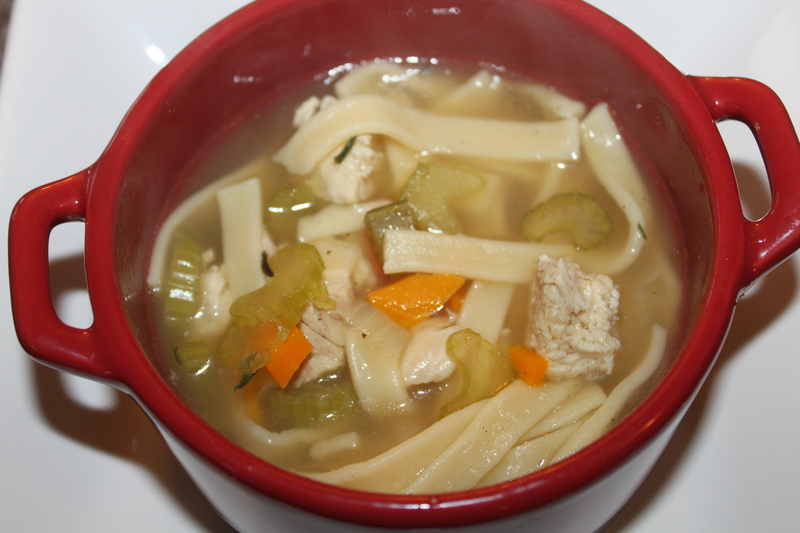 Homemade chicken noodle soup is so much healthier than the canned versions that you find in the grocery store. You can control that amount of sodium that goes into the pot, which is much less than store-bought versions. 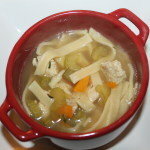 Next time when you need that warming soup to get you through another cold winter day or to help your loved ones survive that never ending cold, try this recipe and you will make everyone smile! 1. In a Dutch oven over medium-high heat, add chicken stock and chicken thighs and breast. Bring to a boil. Reduce heat; simmer 20 minutes. 3. 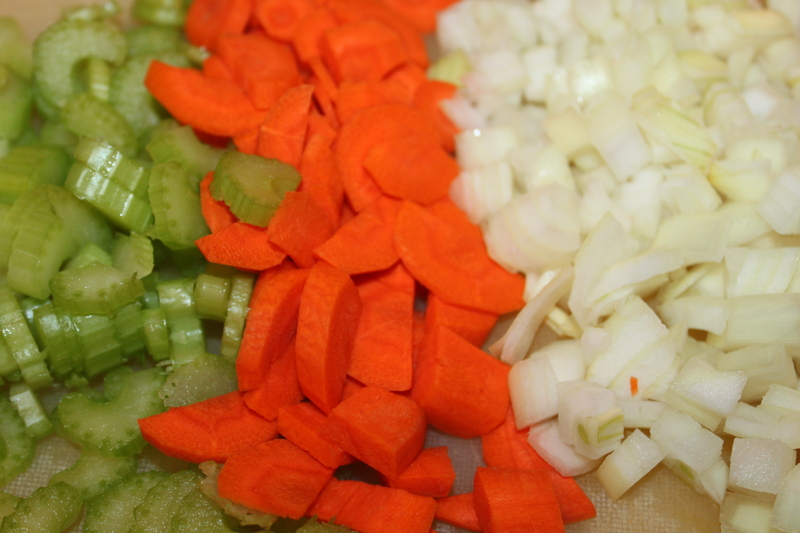 Add carrot, celery, onion, thyme and bay leaf to pan. Cover and bring back to a boil. Simmer for 10 minutes. 4. Add noodles, and simmer an additional 6 minutes. 5. Add chicken, salt, and black pepper; cook for 5 minutes or until noodles are done. **If you would like to receive our Recipe Of The Week – be sure to sign up to follow the blog via email, hit the “like” button on the Facebook sidebar, or follow us on Twitter. In a Dutch oven over medium-high heat, add chicken stock and chicken thighs and breast. Bring to a boil. 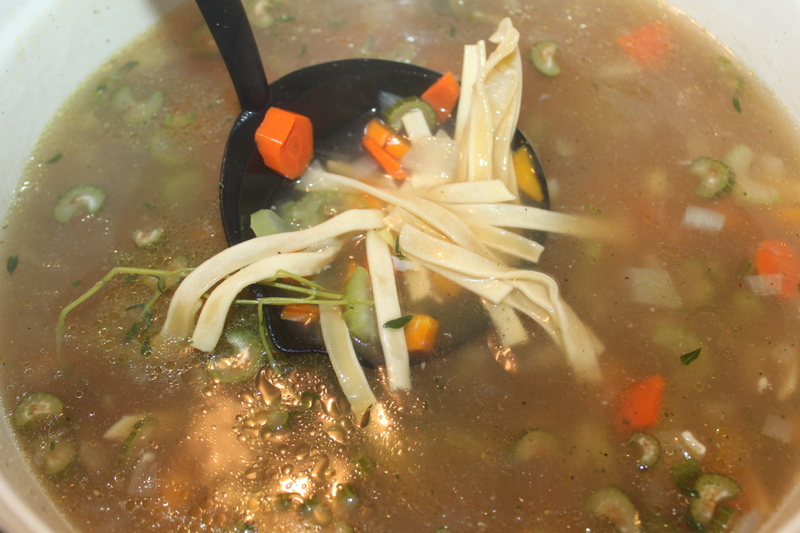 Reduce heat; simmer 20 minutes. 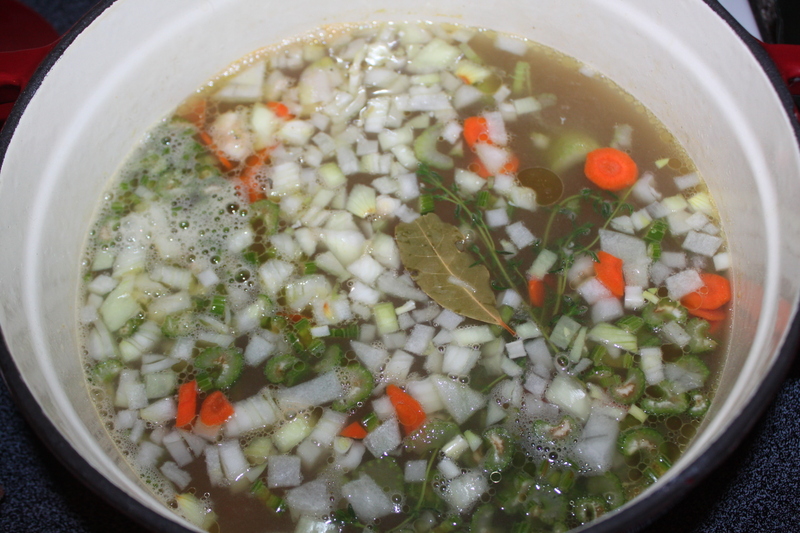 Add carrot, celery, onion, thyme and bay leaf to pan. Cover and bring back to a boil. Simmer for 10 minutes. Add noodles, and simmer an additional 6 minutes. Add chicken, salt, and black pepper; cook for 5 minutes or until noodles are done. ← We’re So Happy – We Built You A Snowman! The Pledge Drive Update…YOU ROCK!